This 21-sail ship is a 171-foot replica of a 1797 East Indiaman ship. 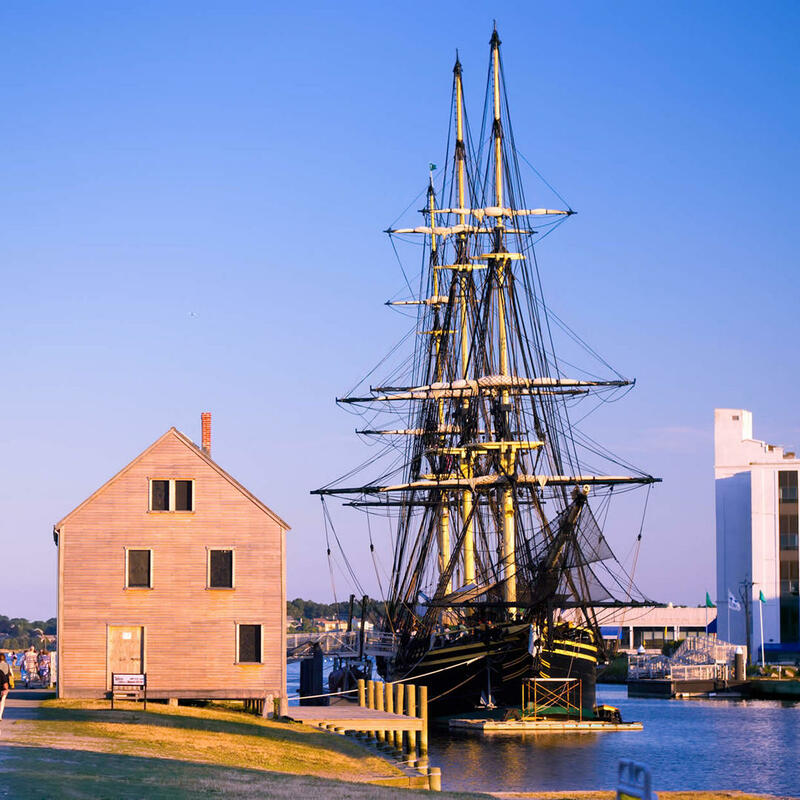 The full-sized replica, while true to the original design her namesake, has diesel engines added - which were certainly not on the 18th-century sailing vessel. She is a modern ship outfitted as a historical vessel and can sail with passengers aboard. Unfortunately, she's docked for repairs but hopefully will be sailing again soon.